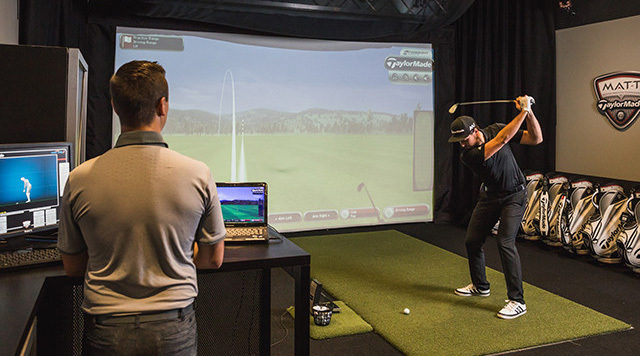 Join a ClubLink club by Feb 28, 2018 and get a TaylorMade driver and fitting experience at the TaylorMade Performance Lab. About the complimentary TaylorMade M3 or M4 driver. The new M3 and M4 family of woods feature the unique Twist Face technology. Twist Face is TaylorMade’s solution to counteract golfers’ most common misses, more specifically, those resulting from the high toe and low heel impacts. To counteract the high-toe miss (a hook), the driver face has been ‘twisted’ open (loft increased & face opened) on the high-toe to help straighten ball flight. Similarly, to counteract the low-heel miss (a slice) the driver face has been twisted closed to de-loft and close the face in the low heel area. Ultimately, TaylorMade’s Twist Face technology delivers a corrective face angle when hit off-center for longer, straighter shots. New Members receive ClubLink’s 25th Anniversary promotional membership fee pricing with 25-year financing. Refer a new Member by February 28, 2018 and you both receive the above. PLUS! Receive up to $1,500* in account credits. *Offer valid to new full golf Members who join a ClubLink Club in Canada, from Jan. 24, 2018 to Feb. 28, 2018. New Member must be 19 years of age or older to qualify. Eligible new Members receive one (1) complimentary TaylorMade custom driver fitting; One (1) complimentary TaylorMade M3 or M4 driver (OEM specs). This offer is not transferable, has no cash value and cannot be used in conjunction with any other offer.